Arguing that these three powers will play a key role in establishing and managing a new world order, the contributors examine how a future global order is developed by the interaction of these leading actors in the international system. The authors also address how the US, China and the EU promote cooperation and manage conflict of interests on a wide spectrum of issues including new security challenges. 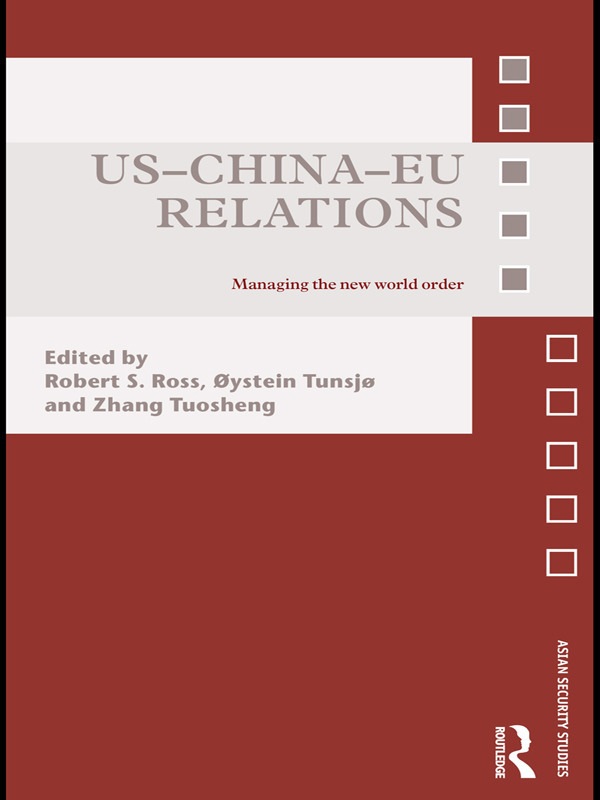 By linking the management of international affairs to specific policy issues, the book shows that the US-China-EU triangular configuration is a pivotal relationship for understanding contemporary international relations. This book offers a comprehensive assessment of US-China-EU interactions and will be of great interest to students of Asian politics, US foreign policy, EU politics and security studies and IR in general. Robert S. Ross is Professor of Political Science at Boston College, Associate, John King Fairbank Center for East Asian Research, Harvard University, Associated Professor at the Norwegian Institute for Defence Studies, Senior Advisor, Security Studies Program, Massachusetts Institute of Technology and a member of the Council on Foreign Relations. Øystein Tunsjø is Senior Research Fellow at the Norwegian Institute for Defence Studies. Zhang Tuosheng is director of the research department and senior fellow at the China Foundation for International and Strategic Studies. US–China–EU relations: Towards a new world order?